The freshly-named Google Ads, formerly Google AdWords, are making some drastic new changes to “simplify” the Display Network, but we’re not too sure everyone’s going to be pleased. Currently, you can set specific targeting by device (computers, mobile app, mobile web, tablet app, tablet web) and simply tick boxes depending on which ones you choose to target. In September 2018, this specific targeting will largely be removed, leaving only the option to target computers, mobile and tablet. This change will remove the option to exclude targeting apps and games – meaning you’re either all-in or all-out when opting to advertise on mobile or tablet. 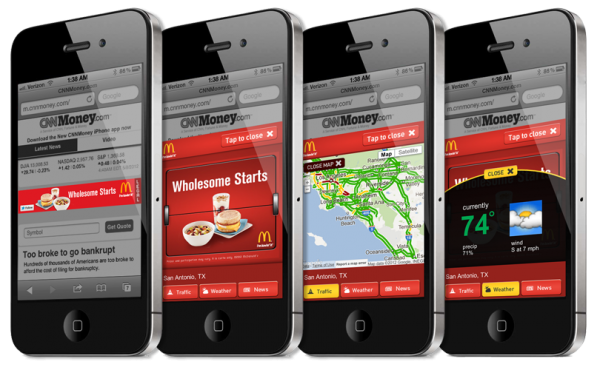 Put simply: it will be a lot more difficult to keep mobile Display ads from showing on apps. By depreciating placement targeting, it’s going to become much harder to limit targeting on apps, resulting in a lower quality of targeting for Display ads. Anyone currently running Display campaigns and excluding apps will see a spike in impressions and potentially unnecessary spend. Google will be showing ads across platforms we were previously able to exclude, giving us less control over who sees them. Targeting apps is great for building brand awareness, but we often steer clear as we typically see a high volume of unnecessary clicks via apps on touch-screen devices. It’s easy for consumers to click adverts accidentally – and accidental clicks don’t usually lead to conversions. With placement targeting also being depreciated, it’s going to become much harder to limit targeting on apps, resulting in a lower quality of targeting for Display ads. As their statement says: they’re doing it to “make it easier to reach the growing base of mobile users”; this gives the opportunity to build brand awareness across a much larger audience than before. It will be important to check exactly where your Display ads are being shown and to exclude specific locations to reduce unnecessary spending.